For European viewers who took the plunge and bought a Sony Bravia Internet enabled TV or Blu-ray player, you will soon be able to gain access to the strangely named Qriocity. 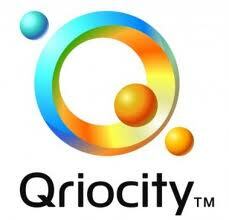 Qriocity is the new HD streaming movie service from Sony providing on demand films. The films available will be added to on a regular basis, giving users an up to date selection of movies to to choose from. Users can also rent films for up to 14 days, and once you have started to view the film you will have up to 48 hours to complete watching it. The system is available in Europe and UK, allowing movie fans to instantly stream movies from studios such as Twentieth Century Fox, Lionsgate, MGM, Paramount, Sony, Starz Digital Media, Walt Disney, NBC and Warner Bros.
Viewers can choose from the latest releases to older movies, some available in High Definition (HD). And new content it is said will be added frequently. Prices start from in pounds £2.49 for standard definition films to £4.49 for High Definition latest releases. So, if you own a Sony TV or Blu ray player with Internet connected TV, just visit the Video on Demand section from Qriocity on the Sony cross media bar.